Day 1 of 1 week detox diet plan is rough, but knowing that from this day on all stored toxins are being extracted from one’s body is actually quite bearable, even sweet, discomfort. And just like me, anybody will be ready to put up with it for the greater purpose to detoxify one’s body and to lose 2 – 3 pounds per week. Drink fruit and vegetable juices all day long – for breakfast, for lunch and for dinner.
! 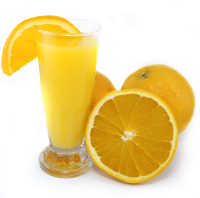 In order to preserve all vitamins, minerals and all other microelements – make the juice just before drinking. Drink about 3.2 pints (1.5 litres) of juices. You can drink mineral water and tea as much as you like, but with no sugar. Boil 1.65 pounds (750 g) of potatoes and divide them into 2-3 portions. Boil 7 ounces (200 g) rice for about 25-30 minutes in non-salted water. Strain off the rice and divide it into 5 portions. Eat 1 portion every 2 hours. If you wish you can stir up the rice with some fruit or tomato juice or fat free vegetable soup. Drink at least 5.5 pints (2.5 litres) of mineral water, tea, coffee with no sugar. 1 slice of bread or 2 dietetic rusks, 3.5 ounces (100 g) of cheese, 1 apple or pear. For the rest of the day eat only fruits about 2.5 – 3.5 pounds (1 – 1.5 kg). You can make a fruit salad and garnish it with lemon juice. You can eat all kinds of fruits except for bananas. Drink at least 4.5 pints (2 litres) of mineral water, tea, coffee with no sugar. Boil 5.3 ounces (150 g) macaroni for about 10 minutes in salted water. Strain off the macaroni and divide them into 3-4 portions. 1 slice of bread, 1 tsp* of butter, 1 boiled egg. For the rest of the day eat only the macaroni. You can drink 4.5 pints (2 litres) of mineral water, tea, coffee with no sugar. 1 slice of bread or 2 dietetic rusks, 1 tsp of butter, 1 boiled egg. 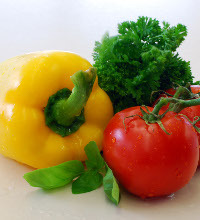 For the rest of the day eat about 2 pounds (1 kg) of vegetables – half fresh and the other half stewed. You can drink 4.5 – 5.5 pints (2 – 2.5 litres) of mineral water, tea, coffee with no sugar. 1 slice of bread, 1 tsp of butter, 1 oz (30 g) cheese, 1 tomato, a few slices of onion. 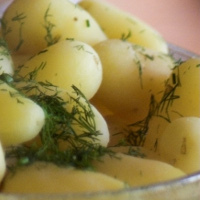 4.5 ounces (120 g) boiled potatoes mixed with 1 tbsp vegetable oil and 2 tbsp of parsley. 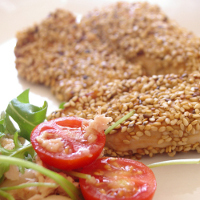 3.5 ounces (100 g) green salad, 3 tomatoes, 1 small onion, 3.5 ounces (100 g) boiled vegetable marrows, 3.5 ounces (100 g) boiled or roasted fish, 1 slice of rye or wholemeal bread. You can drink about 4.5 pints (2 litres) of mineral water or tea without sugar. 1 Week detox diet is over – now what? Once the 1 week detox diet plan is over, you should gradually start introducing more and more healthy cooked meals to your daily menu. If possible cook food with very law or no fat. Try to avoid incompatible food combinations. Don’t forget to drink lots of water as if you are still on the 1 week detox diet. For the first time on the one week detox diet you can lose from 4.4 up to 6.6 pounds (i.e. 2 – 3 kilograms). If that’s OK for you – great! However, if you need to shed a few more pounds, you will have to repeat the diet after 1 or 2 weeks break. During the break you must not overeat to compensate the lack of food while you were on the detox diet. 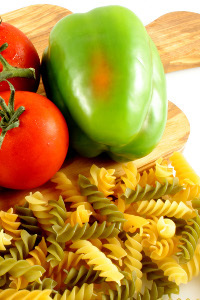 On the contrary – eat regularly and eat smaller quantities more often (3-4 hours between meals).